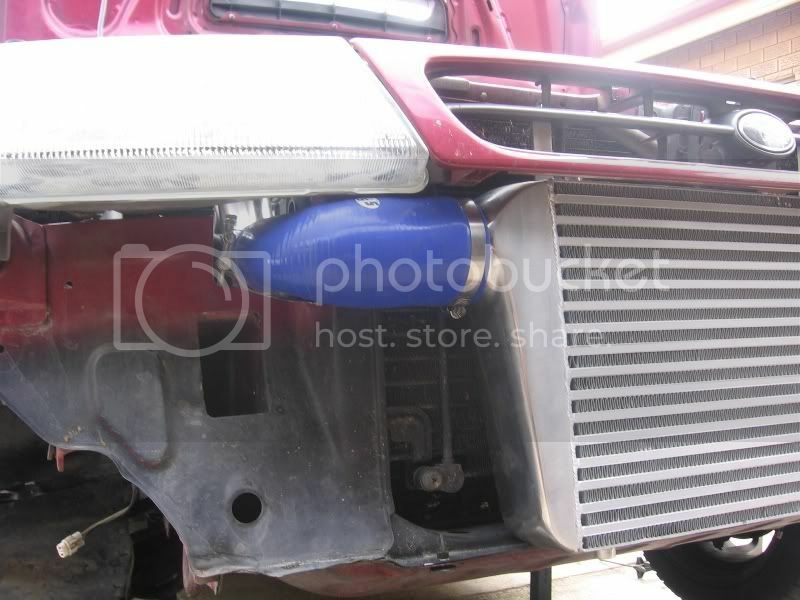 C)theres "sometimes" conflict for space between inner wing mounted cold air induction kits and intercooler pipework where this dont affect it. 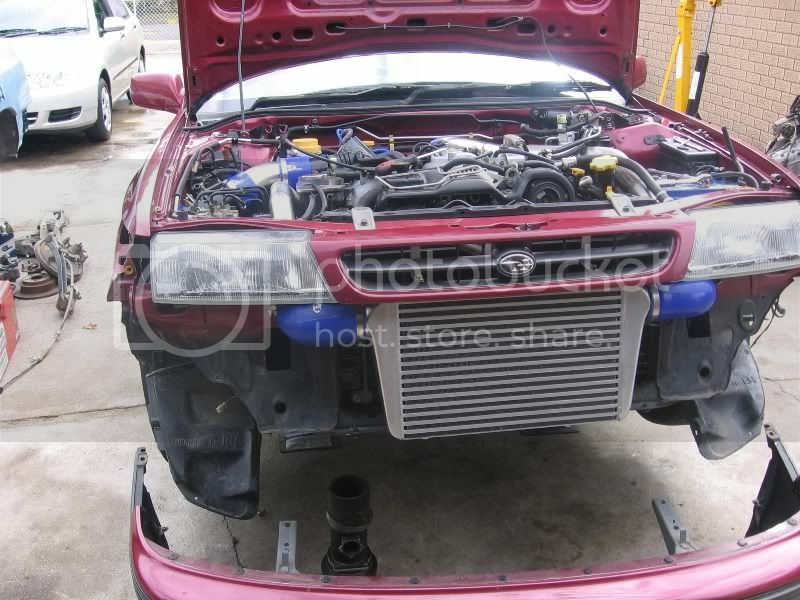 Only downside i can see is that obviously hot air rises so the hottest part of the cooler is where the pipes come off -not ideal however would like to how much of an issue this is(obviously would prob need 2cars to compare)dont even know if theres room to do it on an impreza to be honest-i havent looked-just thought folk would be interested. Last edited by uk dave; 26 Mar 2008 at 10:16 PM. Would be interesting to see some temp figures from this setup. 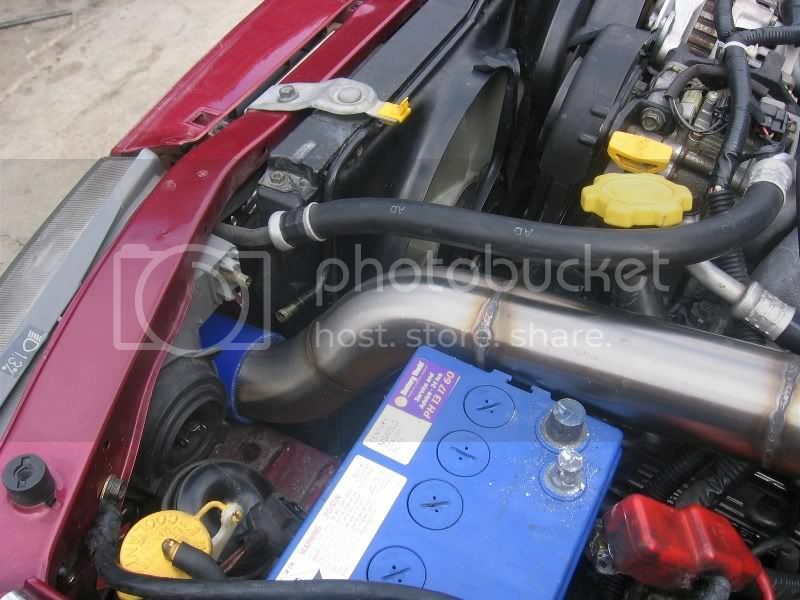 only issue i can see (apart form the hot air rising) is the bend into the turbo, it doubles back on itself. 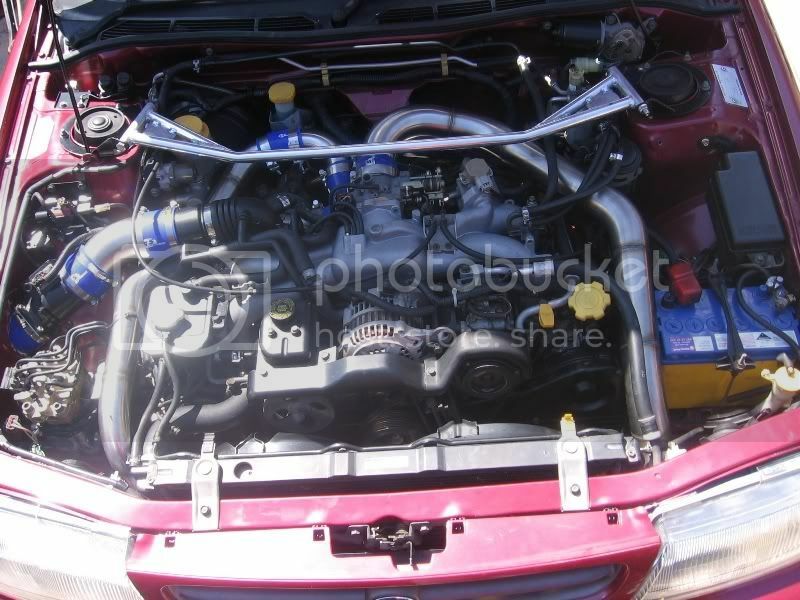 Same with any frontmount though that aint it on the std turbo set up. Last edited by uk dave; 27 Mar 2008 at 12:22 PM. I would say the sharper bends could also increase the pressure drop over the cooler although the shorter route and pipe diameter may make up for this. Looks like a decent engineered piece of kit though. not all, my hybrid does not double back on itself. Ahhh i see yours flows the other way through the cooler ..............learn something new everyday-would only mean re-routing pipework or other silicon hoses etc were the main upside down cooler an shorter pipework run that caught my eye everything else is workable mods to suit the situation regarding bends at turbo-wouldnt be much of an issue to do like yours mate. 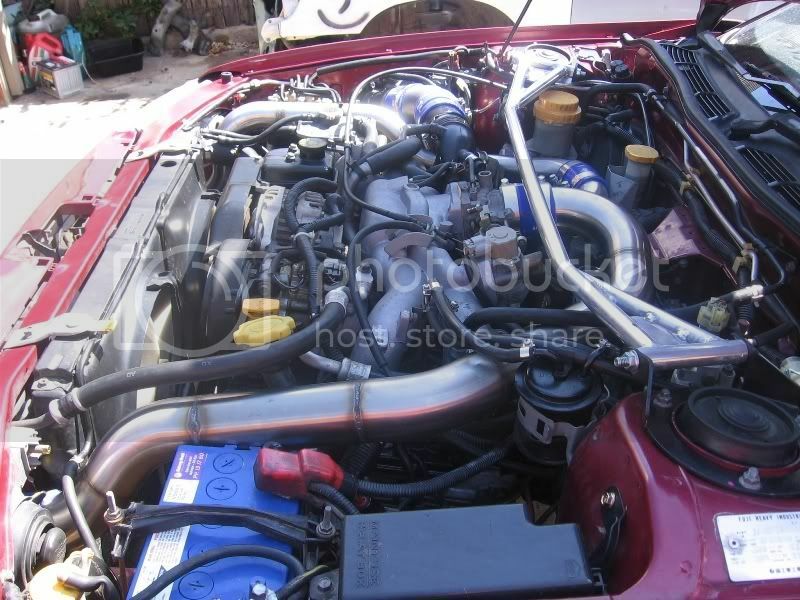 Thought they all flowed the other way thats all chap hence always accepted the sharp bends off turbo in various kits, your pipework at the throttle body/turbo with the intercooler flipped on shorter pipework "could" not sayin for sure though be interesting(if indeed there is room to cut the holes in frontpanel/ and bumper could be modded,like i say havent looked)-would need to know temp differences across the cooler first though like i mentioned earlier would expect charge temperature to be higher exiting from the top of the cooler.